Consecrate yourself unto the Lord through extended prayer and fasting. Increasing your vegetable and fruit intake will have many physical advantages including a certain level of detoxification. As you plan your menus, consider the health benefits of the foods you include. Artichokes contain plant compounds known as caffeoylquinic acids, which increase the flow of bile and help to digest fats. Beets contain betaine, which promotes the regeneration of liver cells and the flow of bile. It also has a beneficial effect on fat metabolism. Broccoli and other members of the brassica family (cabbage, cauliflower, Brussels sprouts, kale, kohlrabi) support the liver’s detoxification enzymes. Food sources of vitamin C and glutathione, which are essential for detox. Protein is required by the liver for detox. Beans, nuts, seeds, and quinoa. are just a few that you can add to your menus. Onions and garlic are rich in sulfur-containing compounds. Involved in sulfation, the main detox pathway for environmental chemicals and certain drugs and food additives. Helps with the elimination of harmful heavy metals from the body. May GOD bless us all with this fast. Popcorn is a great snack during the Daniel Fast, however you will need to make sure the microwave variety doesn’t include ingredients that are not allowed on the Daniel Fast. I think Orville Rechbacher has an all natural brand. Of course, no butter is allowed. I usually just pop the popcorn on my stovetop with a little canola oil and then add salt. Recently I purchased an air popper and like it a lot! i began the 21day fast for closer walk with the Lord. Today is my 9 day. My question is can i eat microwave popcorn. I am struggling to get food. My finances is one of the reasons I am also fasting. Click the image to request your free gift. Click image to watch this inspirational short movie. Daniel Fast – Are You Ready for a Reset? Is the Daniel Fast Being Hijacked? How Long is the Daniel Fast? Feeling Attacked During Your Daniel Fast? 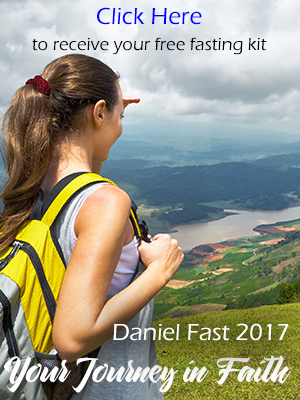 The Daniel Fast is a method of fasting and based on the fasting experiences of the Old Testament prophet Daniel. Susan Gregory started writing about the fast when she responded to a word from the Lord. Since that time she has become the leading source for information about the Daniel Fast and has a personal call to "serve God by serving His people." Her desire is to help men and women experience a successful fast as they grow in the love and knowledge of Jesus Christ. Give thanks to the Lord, for He is good . . . Feeling Low? It’s Time to Take a Look in the Mirror. I had a great day doing a job I hate! Give us this day our daily WHAT?